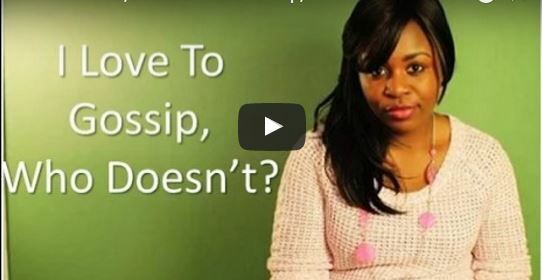 I Love To Gossip, Who Doesn’t? Who doesn’t like to gossip? Every woman gossips, that’s part of our nature, that’s how God made us! We love to talk about other people behind their back, it makes us feel good. So what if we gossip? Everybody else does it. Well, if we are really serious about our relationship with Christ and being holy like the Father is holy, then we need to recheck this our gossip attitude. If adultery, murder, and theft are considered as grave sins, so should gossip too because they are all abomination in the eyes of God. However, the big challenge is: How do we get rid of such a pleasant sin?